Sundays are my favorite day! Mr. Zbornak and I typically get a bunch of snacky, brunchy things and just hang out at home watching Netflix or Golden Girls. 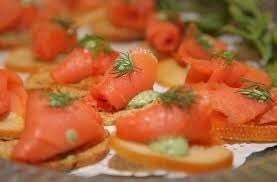 Today, we have toast points with dijon mustard, smoked salmon, and creme fraiche, and dill. We also have mini-quiches, meat-less meatballs in bbq sauce, waffles, veggie-sausage links, a cheese plate, and shrimp cocktail with a bourbon-molasses cocktail sauce (dammit, that sounds like a lot of food!). We also have "mimosas!" By "mimosa" I mean vodka mixed with various juice options. I know it's not a real mimosa, but it fits the narrative. Quit judging me. Damn, I love Sundays! What are your Sunday rituals? ?